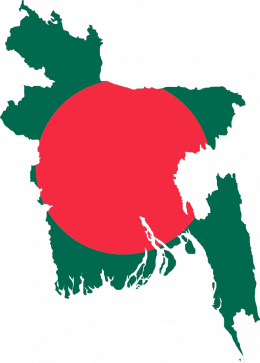 What does Bangladesh aspire to become? A question with million answers. But viewed through a macroeconomist’s narrow lens, Bangladesh needs to emerge as the largest-ever manufacturing- and export-led take off in a democracy. Some green shoots are peeking. The lesson from around the world is development often sprouts out of a mysterious mix of choice and chance; institutions and individuals. Curiously, that mix has only some common ingredients but no common recipe. What worked yesterday may not tomorrow; what works during the low tide may not during the high tide. In short, development is not a destiny. In a timely reminder, the recently held BIDS conference, titled ‘Critical Conversation’, prodded us to be confident but also curious and humble about Bangladesh’s takeoff. In that spirit, I want to share four observations on our journey. First, on being the largest-ever manufacturing takeoff in a democracy. Only seven countries are at least as large as us in this regard. With 100 million or more, Brazil, Indonesia, Nigeria, and Russia are commodity stories, relying on commodity (i.e., oil) exports; India is a service story, trying hard to ignite manufacturing; China and Vietnam are manufacturing stories but in a socialist market economy. That would make Bangladesh a story of the largest manufacturing-led takeoff in a democracy, if the green shoots mature as trees. Past such takeoffs were few and smaller in size. The prime examples are the UK and the US. In 1800, while moving from agriculture to industry, they together were smaller than Dhaka’s population today. Even in the 1870s, with 4-5 times higher per capita than we are at now, when the UK was the political superpower, the US the economic superpower, they combined were only 60 million, smaller than even half of Bangladesh today. As in aeronautical engineering, macroeconomic management is a function of size: the aerodynamics and the pilots of Boeing 747 are different from those of a small Cessna. Of course, it helps that the world now is bigger and more globalised with technology, trade, and finance than in the 1870s; the stronger wind can help our liftoff. Our large population means domestic demand can be an extra engine of growth. All possible but not preordained. Second, why the emphasis on manufacturing? The reason is simple: it can create more and better jobs quickly to absorb our 2 million new workers every year. To contextualise, India’s world class IT industry employs only 2.5 million of its 500 million workers. High-end services, like IT, can flame aspirations and absorb educated middle class but not the large mass. Last September, an advertisement for 368 tea boys and night guards in Uttar Pradesh drew 2.3 million applications. Hence the Make in India campaign for manufacturing and for jobs. Like a necklace of multi-coloured pearls, manufacturing today forms a chain of specialisation. Each country specialises in only some pearls. Unsurprisingly, high-value products mean longer chains. iPhone parts, for example, are made in more than 30 countries before being assembled in one location. No wonder 80 percent of global trade is conducted by transnational companies with productions in more than one country. With diffused manufacturing, what and how well we produce is important. Equally, if not more, important is how seamlessly we connect with the world. That’s why infrastructure, skills, and institutions matter so much, especially as our manufacturing reaches beyond garments. Third, takeoff in a democracy. Bangladesh is now in an unprecedented flux amid 4 critical transitions: industrialisation, urbanisation, young demography, and technology (mobile, media). These forces can both unite and fragment societies, straining harmony. During these transitions, changes often do not add up; they multiply. In a society amid such tectonic shifts on steroids, where culture, family, work, values all are changing fast, trees are becoming hyacinths, identities will invariably face tension, which, if unattended, can interfere with the takeoff. As we are learning painfully, harmony seems brittle in today’s world where cultures and identities are weathering complex pressures; where aspirations and resentments have gone global and digital, with the butterfly effects of the Chaos Theory: small causes can have large effects. Technology, for example, spreads light but also darkness, polarising souls into binary shapes: aspire or despair. Amid all this, unsurprisingly, the physics of the young, crowded, and connected makes our social equilibrium particularly delicate. Democracy, with liberal and inclusive institutions, offers the least imperfect safety valves and the best hope to negotiate these relentless transition pressures, to glue the society, and to make the long journey less bumpy. The physics also means job, inclusion, and social justice are more than just lofty advocacy goals; they have to anchor every engineering equation. Good news is our growth drivers – garments, remittance, agriculture – have mostly been inclusive, balancing social harmony. At least till recently. In 1971, we started out as a poor, rural but an aspirational and more equal society. Despite far lower poverty now, with growth, inequality has been rising in the last two decades through diverging income, education, and land price. True, growth and inequality are often co-passengers but the latter, when unruly, chokes the former and poisons societies. Just look around the world. Let me digress a bit. In the 1980s, a hybrid public transport with the face of a truck but the body of a bus – seemingly a product of Greek mythology – used to ply between Rampura and Farmgate. It was called “murir tin,” a can of puffed rice, because passengers were packed like rice, actually more like sardines. A high school friend used to joke Bangladesh is the biggest “murir tin” bus, where if one stinks, we all smell. It’s obvious we all are in it together, sharing the same, limited oxygen. We are a land where even improbable lightning strikes can kill 64 people in 48 hours. That makes inequality and polarisation both expensive and explosive. Fourth, the flight conditions over the coming decade. The flight records of the last 50 years show two big waves of takeoffs, mostly in Asia: the first was during the 1960-’70s, with Taiwan, Singapore, Korea, followed by Malaysia, Thailand, Indonesia; the second in the 1990s: China, India, Vietnam, Bangladesh, Cambodia. Looking back, our democratic journey since 1991 luckily coincided with the stronger global tailwind from the second wave: the world, especially emerging markets, grew rapidly. So did we, defying predictions, causing surprise, and earning respect. Looking ahead, global growth will likely be slower over the next 20 years than in the past 20. Think of China’s churning, Japan’s tepid growth, the US recovering coyly, the Middle East hurting from the low oil price and geopolitics, the EU still coping with the 2008 crisis legacies and now Brexit. With weaker tailwinds on our back, we need to sail harder, reform faster, and implement better. All told, what do these four observations above mean for our development recipe? Going forward, the crux of our challenge is how to foster urgency and competency in a democracy; how to anchor identities amid flux, much like floating hyacinths; how to upgrade institutions, industries without waiting for the “cathartic” crises. For example, how to restructure garments industries without Rana Plaza? I realise these questions about institutions have no simple or single answer. Like a Darwinian ecosystem, institutions have many species. They evolve, rise, and fall too. But let me take a boring and sweeping view of the lessons from other democracies. An ironic lesson is institutions and reforms often grow out of crises, which help blunt vested interest groups, empower reformers, and forge consensus. Think of the US in the 1800s, with major banking crises almost every 6 years. The Federal Reserve Bank was established only in 1913, six long years after the 1907 banking crisis. The 1929 market crash gave birth to their SEC. A sad, more complex lesson is not all crises lead to reform: Tazreen did not prevent Rana Plaza. Reform ultimately hinges on how well we internalise the lessons of the past crises, on how quickly we learn, on how cohesively we travel together. A crisis is a terrible thing to waste. Many of our successful micro-institutions and social innovations were borne out of the famine, over population, food shortages, and floods in the 1970s-’80s. We did not waste those crises. In defiance and with resilience, we pioneered solutions amid darkness where and when few saw light. Those stubborn crises coupled with the tsunami of inspirations unleashed by 1971 gave us focus, discipline, and consensus, which need extra nutrition and oxygen today, especially amid the problems of plenty. Now, back to the future. A new phase awaits us, breathing for newer solutions, consensus, and capacity than those in the first three decades. Microfinance, for example, is not scalable to infrastructure financing; NGOs teaching loving mothers orsaline usage to save her dying child is not the same as the government building a four-lane highway on time, with quality, and within costs. With larger scale and higher altitude, capacity and public institutions need to mature exponentially. In that BIDS Conference, we requested the Director General to continue the ‘Critical Conversation’ seminar series to study other countries with similar transitions. For example, in a 1956 Pulitzer Prize winning book the Age of Reform, Richard Hofstadter recounts how the US implemented mass reforms during 1880-1920, an era of both great progress and great dislocations, much like ours now. We are at new waters: the promise of the largest-ever manufacturing- and export-led takeoff in a young, crowded, and connected democracy, navigating a low-growth world. The road ahead is long and the slope is steep. Let’s think about the road ahead, together, and with curiosity and humility. The writer is Senior Economic Adviser, Bangladesh Bank. I reached Phnom Penh on a late summer night in 2011 after twenty-some hours of flights from Washington. The airport had a mofussil feel. The immigration officer chose to speak in Khmer, a welcome with the unintended hint that I belonged. As I exited the airport, the half-moon above was bright, the air fresh after a heavy rain, and the road empty except for the construction workers and a few stray dogs. The next morning, from my 10th floor balcony, opened up a panoramic view: the city below was corseted by the Mekong and three other rivers; spanning across Hun Sen park, two rows of krishnachuras were in full bloom, a tango of green leaves and red flowers blowing in the wind. Fittingly, in Khmer, krishnachura is called kangauk (peacock). To my three-year-old, krishnachuras – with their green and red – brought to mind the Bangladeshi flag. The krishnachuras transported me back to 1980s Dhaka with my father. Over a quarter century ago, under a krishnachura, and not too far from a 15th-century Sufi shrine in Mirpur, I said my final goodbye to him. From across the pond, the breeze got cooler and heavier as the March drizzle conspired with the maghrib azaan to make the freshly shoveled ground muddy but holy. Fahim, my younger brother, did not fully fathom what was going on. I remember hugging him for a long time after the hasty burial. My father had suffered for most of my teen years. When we are young, days are short but years long. The fear of loss meant those five years in the hospital felt like an eternity. We all cope differently after a loss as to the question of why me. Over the years, as I looked for answers, I often felt the urge to write about him, about how I still miss him. Some say words heal by first sculpting our feelings, then by burying them. But writing is a delicate exercise in nostalgia, healing, self-pity, and, unavoidably, narcissism. The balance is never easy. My father was a gentle, family man, with a thick set of wavy hair and a sense of humour that all of his seven children loved. His sad eyes and wide nose showed Indo-Chinese features. If a single variable explains me, it is him, first through his presence, then his suffering, finally his departure. The irony is that his early departure lent only more permanence. In many ways, he has been with me since he left. In the walks I take alone. In every Eid prayer. When I drink tea with muri. I keep a black and white picture of him on my office desktop. It shows him, at 38, with a mustache. For me, black and white pictures simplify memories. My office cleaner, Sukunti, once nervously advised, “If you are going to keep your own picture on the table, please get a different one in colour but without the mustache.” My father and I look a lot alike. A few months after he departed, I left for the US. The next two decades, my 20s and 30s, flew by in schools, in jobs. Of and on, I would replay the 1980s in my head, picture that krishnachura in the Mirpur cemetery. American writer Graham Greene once said life is lived in the first 20 years and the remainder is just reflection. He seems almost right. Then happened Cambodia. I read up on the politics, the history, and the old IMF reports for the job interview but knew little about the society beyond the genocide and Angkor Wat. It was only after I moved that so many memories unfurled, swirling in a time warp. 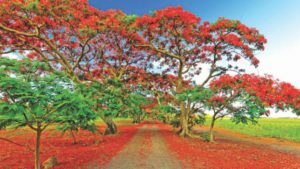 The familiarity was disorienting: the krishnachuras; the palm trees; the oxcarts; the dheki for husking rice; the new year on Pahela Baisakh; the sound of heavy rains; the alphabets – ka, kha, ga, gha – and faces blending Indo-Chinese features. Phnom Penh partly resembled a reincarnated 1980s Dhaka; rural Cambodia perhaps a muffled echo of the Buddhist Bengal. The initial surprise borne out of my own ignorance slowly matured to gratitude. In one of the worst mass killings of the 20th century, Cambodia lost three million of its seven million people during the Pol Pot years, 1975-1979, leaving no one unscathed. In my office, Yong, the driver, lost his grandfather; Sukunti, the cleaner, her father; Chenda, the assistant, her brother; Leapho, the office manager, went to look for food for his starving family, only to find upon return that they were all killed. Their smiling faces gracefully masked souls full of crater-like losses, dwarfing mine, making me, for the first time, even thankful for my father’s natural departure. For the short five years in hospital. The chemistry of memory is complex. The hippocampus and the frontal cortex areas in our brain store memories, which can erupt, mutate, and even nest like onions in layers as we reinterpret our past and experience the new. Memories also decay with time, that’s how we eventually forget something. For me, the krishnachuras halted that decay, provided a refuge for my memories, perhaps replenishing my frontal cortex. Looking back, I wonder if the powerful resonance I felt in Cambodia had more to do with the phase of life I was about to enter. In our forties, like a half-moon, with more yesterdays than tomorrows, we are aware of transitions: the shrinking world of my mother from dementia making space for the expanding universe of my 3-year old. Like the impossible staircase in an Escher painting, 40 is where the beginning and the end intersect, the past and the future merge. 1991-2015. Last August, I moved back to Dhaka, as a friend once said in jest, in response to my mid-life crisis. A week after I arrived, I visited my old elementary school. The library and the playground now look much smaller than I recall. Although I struggle with the ghosts of my memories, my daughter is relishing Dhaka with fresh curiosity, unburdened by any nostalgia to create her own memories. Slowly, I am learning to not resist the obvious – Dhaka is no longer the city that I grew up in. Dhaka has moved on. Now with crowded roads, shopping malls, cell phones, 24 hour TV channels and modern ads, shrinking lakes, fewer trees, traffic jam, and fast food joints on every corner, the society sits atop the fluid vortices of change. Amid aspirations, the rise of the market, growing strains and affluence of many with their busy lives, social values and norms in flux. The collision of my out-of-focus memory with the present was inevitable. Around the time I started feeling settled in, on March 7, a news caught my eyes: artist Khalid Mahmood faced a tragic death as a krishnachura fell on his rickshaw in Dhanmondi. In a surreal coincidence, a year ago, he had an art exhibit in Chicago titled Krishnachura: Poetry of Color. In Cambodia, krishnachuras triggered memories of my father, of 1980s Dhaka. Now, in Dhaka, it ignites my reminiscing Bangladesh in Cambodia. After March 7, it also reminds me of Khalid Mahmood, whom I never met. On my father’s death anniversary this year, March 25, I went to Mirpur with my daughter. The krishnachura and the pond are long gone to make room for new graves. My daughter, now 7, will have no memories of the krishnachura but will inherit and perhaps curate the stories of my memories. As we were walking back from his grave to the car, she held my hand tight, asked where the pond was. In endless cycles, we keep growing as do our memories, even, or especially, that of a krishnachura near a pond in a cemetery. The writer is a macroeconomist. According to our latest Regional Economic Outlook Update (October 2014), Asia’s near-term growth prospects remain solid amid downward revisions for other regions. Despite a mild slowdown earlier this year, Asian economies are expected to grow at 5.5 per cent in 2014 and 2015, broadly in line with the pace of the last couple of years. With some exceptions, the inflation outlook should remain benign across most of the region. This regional outlook bodes well for Cambodia’s prospects, especially in light of its increasing regional integration. However, downside risks have increased, but so has resilience, including in countries that had been most affected by the period of heightened volatility that followed the market’s reaction to the talks of reduced bond purchases by the US Fed last year. Yet, further action is needed both in the region and in Cambodia to strengthen policy buffers and address medium-term challenges to stability and growth. What is driving Asia’s solid growth outlook? First, stronger global growth should help propel exports across most of the Asia and Pacific region. In fact, after a weak first quarter, export growth has started to gather steam, and with the strengthening growth in the United States and the expected recovery in the euro area, the export momentum should remain relatively strong. Second, global financial markets have rallied, helped by expectations of higher growth and increased risk appetite. This environment has also contributed to greater capital flows into Asia, which have contributed to higher stock prices, lower spreads, more favourable borrowing conditions for corporates, household and governments, and strong credit growth. Policies in Asian economies have also been generally supportive – in particular, real short-term interest rates remain typically below their pre-global financial crisis levels. These factors should help support robust domestic demand growth going forward. The favourable outlook for the Asia and Pacific region masks important sub-regional differences. In China, growth should remain strong in the near term, helped by the recent stimulus measures. We expect some gradual moderation to a more sustainable growth path throughout next year, as the ongoing slowdown in the real estate sector and efforts to curb credit growth and rebalance the economy slow investment growth. In Japan, Abenomics is still providing a lift but growth should come in slightly below 1 per cent this year and next, with rising private investment, helped by the weaker yen, higher stock prices and rising corporate profits, partly offsetting the effects of fiscal consolidation on domestic demand. In India, activity has picked up strongly and the growth momentum should build on rising business confidence, investment, and exports. ASEAN economies should also see robust growth in 2014 and a slight acceleration in 2015, partly reflecting their exposure to the stronger global economy. This relatively favourable regional backdrop coupled with an improving domestic demand is expected to support Cambodia’s growth outlook. In Cambodia, growth is projected to be above 7 per cent this year and edge up to 7.5 per cent over the medium term with needed support from strong reform efforts. Despite the solid outlook, Asia continues to face significant risks to stability and growth. In the near term, investors could overreact to rising US interest rates and pull money out of the region, leading to sudden spikes in financial market volatility, higher borrowing costs and, ultimately, lower growth. Higher corporate leverage and rising household debt could also amplify the adverse effects of higher interest rates on investment and growth. Finally, an escalation of geopolitical tensions could hurt exports and activity more broadly. What is the role for policies in the region? Recent actions taken by Asian policymakers have boosted confidence and improved resilience in several economies, including India, Indonesia and Malaysia. But addressing medium-term risks calls for a renewed push for structural reforms across the region, which has seen a steady deterioration of its long-term growth outlook in the past few years. Such reforms would not only make Asia’s growth stronger and more sustainable, but would also lower its vulnerability to further growth disappointments and financial market shocks coming from the West. What does this regional outlook mean for Cambodia? The main takeaway for Cambodia from the latest Regional Economic Outlook Update is to take advantage of the regional economic tailwinds to push through the reform efforts. As the experience of other developing and emerging market economies have shown, a favourable growth environment often makes reform efforts easier to implement. On specific policy measures, the government’s emphasis on improving its revenues and delivery of public services, especially in education and health is both timely and necessary to make growth more inclusive and sustainable in the medium term. Continued efforts to increase domestic revenue and improve spending efficiency would help finance Cambodia’s vast development needs in soft and hard infrastructure while building increased fiscal buffers, critical for an open and highly dollarised economy like Cambodia to address any external shocks. A broader civil service reform is also crucial to accompany the public wage increases to avoid jeopardising fiscal consolidation. Given the rapid growth of the banking system and microfinance institutions in Cambodia in recent years, a key challenge is to strike a balance between financial access and financial stability, as highlighted by the first National Bank of Cambodia Macro-economic Conference in July. This may require a more sustainable pace of credit growth, continued improvement in regulation and supervision and development of money and foreign exchange markets. No doubt Cambodia’s growth performance so far has been impressive. But the policy challenges evolve as countries undergo economic transitions. Going forward, reform measures need to support a growth strategy that would not only attract FDI but also, equally importantly, encourage domestic investment to support economic diversification, job creation and fulfill the aspirations of Cambodians for a more inclusive growth. Faisal Ahmed is the IMF’s Resident Representative in Cambodia. Cambodia’s economic take-off has been truly impressive. With peace and stability, and the government’s focus on export-led development, growth has averaged about 8 per cent in the last decade, doubling per capita income and halving the poverty rate. Cambodia is now poised to enter the next phase of its development and with aspirations to soon join the ranks of emerging markets, the focus now, understandably, is on the continuity of that take-off. That prompts some deeper questions: What is the recipe for igniting and sustaining take-offs in developing countries? What can Cambodia learn from the previous generation of countries on how to navigate the next phase? With over one-third of Cambodians below 15 years and the vast need for job creation, these questions and their answers have profound real life implications for so many. Researchers at the IMF have analyzed precisely these questions in the April 2013 World Economic Outlook, which has been published worldwide and presented to policy makers in Phnom Penh a few days ago. The research project has sifted through the experience of more than 60 low-income or developing countries over the last 60 years. To add to that, it has featured Cambodia as one of the impressive growth stories since the 1990s. Before we highlight the main findings, let’s touch a bit on the global growth context. In recent economic history, there have been two waves of growth take-offs among low-income countries over the past 60 years. The first wave started around the 1960s and 1970s; the second around the 1990s. Cambodia has solidly been a part of the second wave. Here is some good news: growth take-offs are now more likely and longer-lasting. What explains the higher probability of take-offs? It is mostly due to better structural and macroeconomic conditions, findings the policy makers in Cambodia can fully relate to. Unfortunately, the promise of the first wave fell short as many take-offs fizzled out, when the global economy turned sour in the late 1970s and 1980s. In fact, one-third of take-offs prior to the 1990s ended with a currency, debt, or financial crisis, and some countries even saw reversals in per capita income levels within 15 to 20 years after take-off. That’s why understanding the shared features of successful take-offs is so critical. Although many roads lead to growth take-offs, they usually involve strong investment and export growth, underscoring the importance of policies to improve the investment and business climate and foster trade integration in developing countries. Furthermore, recent take-offs have been supported by stronger FDI, higher education levels, lower regulatory burden for businesses, lower income inequality and more stable political conditions. Fortunately, many of these are outcomes of policy choices, not accidents. What are the lessons for Cambodia? Cambodia’s open trade and investment regimes, and proximity to some of the most dynamic economies in the world, have served it well and provided immense opportunities to continue to attract foreign direct investment and deepen trade links in regional and global markets. This will further improve productivity and support activity. But to get there, it has to address many policy challenges. First, removing infrastructure bottlenecks, most urgently with respect to power supply and roads, and improving the business climate will remain critical for continuing to attract private investment and further diversify its economy. Second, in light of the rapid growth of Cambodia’s banking system and the introduction of new financial instruments and markets, such as the stock exchange in 2012, it is important to keep in mind that financial deepening must continue without compromising financial stability, one critical lesson from the first wave of take-offs. That will require managing financial deepening by enabling market participants to better manage risks, and continuously upgrading prudential supervision and regulation. This is especially important in a system like Cambodia’s that is also marked by a high degree of dollarisation and capital account openness. Third, mobilising fiscal revenue will help build fiscal buffers and generate the resources necessary to cushion the economy against adverse shocks and meet the country’s development needs. The latter concerns in particular human capital development through improved health and education, a goal the government has also embraced. It is worth noting that the IMF’s regular policy dialogue with Cambodia has over the years led to a convergence of views on these lessons and has also guided the IMF’s technical assistance in Cambodia, from financial supervision to economic statistics to fiscal management. An old Khmer proverb advises us to “negotiate a river by following its bends”. Cambodia is fast approaching the proverbial bend of the river of development – transitioning from a developing to an emerging market economy. One efficient way to navigate the bend would be to internalise the lessons from the sustained growers and design policies accordingly. The IMF is happy to be a part of that journey and to think together with Cambodia’s policy makers on how best to get ready for the next phase. There’s an old Khmer proverb that says: “Before you row your boat, look at the destination.” The overall economic achievements of member economies since the founding of ASEAN have been remarkable. From a modest beginning in 1967, the region can now boast economic successes in all the vital sectors: agriculture, manufacturing and services. But ASEAN remains a diverse family that includes both high-end, industrialised economies such as Singapore and developing economies such as Cambodia and Vietnam. On the occasion of the ASEAN meetings in Cambodia this week under the motto “ASEAN: One community, one destiny”, it has become clear that the future challenges require even greater regional co-operation. Looking ahead, growing regional integration, favourable demographics and a strong emphasis on inclusive growth can deliver more sustainable growth and cohesive regional unity – a prospect also appreciated by the region’s leaders. As the 2009 ASEAN Roadmap Declaration aptly emphasised, the journey to that common destiny will have to take place on a multi-lane highway: political-security, economic and socio-cultural. This highway to a common “veasna” (Khmer for destiny) for ASEAN’s 600 million citizens needs a firm foundation of economic integration that simultaneously appreciates and leverages the structural diversity of the region’s economies. Cambodia’s second chairmanship of ASEAN provides an occasion for us to celebrate the distance covered by, and reflect on the road ahead for, the members of the ASEAN family. When Cambodia first chaired ASEAN in 2002, it had been a member for only three years. Since then, the Kingdom has experienced rapid growth, more than doubling its per-capita income in the past decade, coupled with a significant improvement in infrastructure and a reduction in the poverty rate. Cambodia today shows promise of joining the formation of Asia’s flying geese, a term coined by the Japanese economist Kaname Akamatsu to describe emerging markets. As Cambodia gains economic altitude, the views and policy challenges will evolve, too. Past success cannot be allowed to lull us into complacency; rather, it should help trigger the urgency for continued reform. As the International Monetary Fund’s global experience highlights, both the level and the quality of growth matter. Sustainable growth is associated with more equal income distribution. Inequality can hinder access to finance, make countries more prone to adverse shocks, reduce trust in institutions and encourage instability. And, without a solid middle class, domestic demand is unlikely to take off. The higher pace of growth in Cambodia and other ASEAN economies should, therefore, remind us all how much more can be achieved in the long term if growth is shared by many. The path to greater regional economic integration needs to have a solid foundation of sound macro-economic policies that ensure a predictable business environment and avoid serious economic and financial disruptions – a core part of the IMF’s work. When it comes to policy advice to avoid such disruptions, the IMF is mindful of the diversity among ASEAN members. That’s why the IMF’s engagement with the ASEAN community has been multi-faceted. At the bilateral level, the IMF consults every year with each ASEAN member – the so-called Article IV consultation – to provide concrete advice on, and analysis of, their economic policies. Another important aspect of engagement involves technical assistance, whereby the IMF provides training and practical guidance on how to bring institutions closer to best international practice and design appropriate policies in specific areas, be they monetary, fiscal or statistical issues. For more on this, visit the IMF Resident Representative Office in Cambodia’s website. At the multilateral level, the IMF is stepping up its co-operation with the ASEAN+3 Macroeconomic Research Office (AMRO) and the ASEAN+3 Integration Monitoring Office (AIMO) to mutually benefit from each other’s work in conducting assessments of regional economic developments. In today’s globalised world, policy dialogue and the quality of regional surveillance depend more than ever on the exchange of knowledge and views among stakeholders. In this spirit, the IMF also closely co-ordinates its work on ASEAN with other bilateral and multilateral institutions such as the Asian Development Bank and the World Bank. That old Khmer proverb reminds us all to focus on our destination before we pick up the oars. Given that there is a strong consensus on the shared destiny of the ASEAN community, member countries have begun rowing towards that destiny. The IMF is happy to be part of this journey –– be it through regular surveillance, or by helping to build modern institutions through our technical assistance programs –– that leads to a more prosperous and inclusive Cambodia, a more unified ASEAN community and a shared destiny under the same sky. Olaf Unteroberdoerster and Faisal Ahmed are, respectively, the IMF’s mission chief and resident representative in Cambodia.